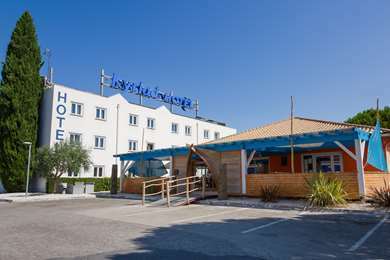 7 km from Montpellier city centre and 6 km from the beach, our Campanile Hotel & Restaurant Montpellier Saint Jean de Védas is in the heart of the Hérault département and ideally located for both family holidays and business trips. 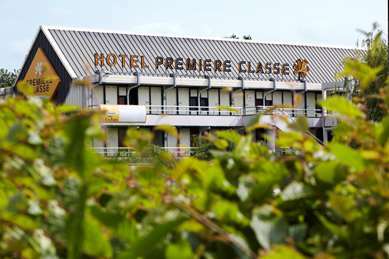 Our 3 star hotel in Montpellier Saint Jean de Védas is easy to get to whether you fly or arrive by train, being just a 10-minute drive from Montpellier Fréjorgues International Airport and Montpellier Saint Roch TGV high-speed railway station. It is also the ideal setting for your conferences in Montpellier, as the hotel's welcoming conference room accommodates up to 40 people. The restaurant at your Campanile Hotel Montpellier Saint Jean de Védas serves contemporary French cuisine with seasonal fruit and vegetables. 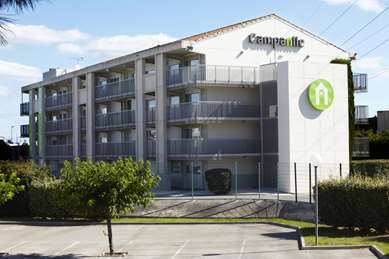 The hotel is in the town of Saint Jean de Védas, close to Montpellier on the road into Spain, and 200 m from junction 32 of the A9 motorway. During your stay, Montpellier city centre is within easy reach on tram line 2 from the Saint Jean Le Sec stop, which is 300 m from the hotel. You can also get to the coast (the port at Pérols), Montpellier Zénith concert and conference venue, the Arena, the exhibition centre and the teaching hospitals, all less than a 30-minute tram journey from the hotel. 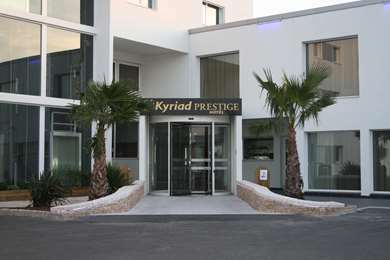 Mosson and Yves du Manoir stadiums are less than 10 minutes' drive from the hotel. A free covered car park is available. We have 48 double, triple and interconnecting rooms. 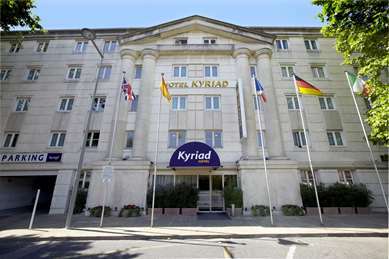 The hotel has two rooms which are accessible to guests with reduced mobility. All rooms are air-conditioned and have new bedding. Each room is fitted with a bathroom with bath or shower and hair-dryer. You will find tea and coffee-making facilities and biscuits in your room. Our rooms also feature an LCD television with satellite channels, desk, telephone and free Wi-Fi. From 6:30 a.m. to 9 a.m. during the week and from 8 to 10 a.m. at the weekend, a full breakfast buffet awaits you to help you start the day off on the right foot, whatever your habits. Choose your own breakfast from fruit juice, hot drinks, cereal, pastry and breakfast meats. 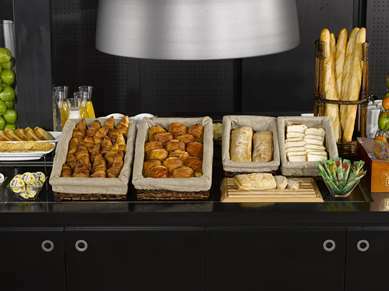 For lunch or dinner, your Hotel Campanile will please all tastes with its choice of buffets, and à la carte dishes. Its pleasant restaurant welcomes you for lunch between 12pm and 2pm daily, and for dinner between 7pm to 10pm. Groups can be catered for - just let us know! If you prefer dining in your room, a snack-service is available up to 10pm with prior reservation. From Perpignan/Avignon/Nimes via A9: exit 32 St-Jean-de-Vedas. After the toll continue to the traffic circle then take 1st right. From Montpellier: direction St-Jean-de-Vedas/A9. After the toll continue to the traffic circle then take 1st right.